Bring out the best in your business. Conventions and Trade Shows are opportunities for you to highlight key aspects of your company and grab the attention of potential clients. Customized Convention Displays can really bring things together—messaging, vision, mission, products and services work together in a cohesive presentation that is appealing and speaks well to your brand. When it comes to your company, identity and representation are crucial factors to making a sale with a potential client. Overall positive results come from a concentrated connection between your company's intent and what you can offer potential clients. We offer cutting-edge graphic design services in Metairie and New Orleans. We have a skilled team that will work closely with you to create a display that catches and presents your message in an organized and well planned way. At H&H, we offer a large selection of printed business collateral ranging from business form booklets and forms, banners, calendars, decals, vehicle wraps, retractable banner stands, trade show displays and other customized printing products. Be sure your professional identity, your brand identity and your business values are well represented. When potential clients see a well designed trade show booth, they immediately associate that with a quality product or service. 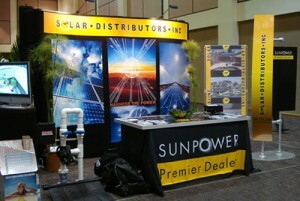 We take pride in more than just selling trade show displays. Our team will work with you to come up with a comprehensive plan that uses a mix of products and services to meet your needs—from kiosks to banner stands to tabletop displays and more. Available in any size and color, Customized Convention Displays allow you implement creative designs and a personalized layout that fits your brand. Take your company to the next step ahead of your competition.